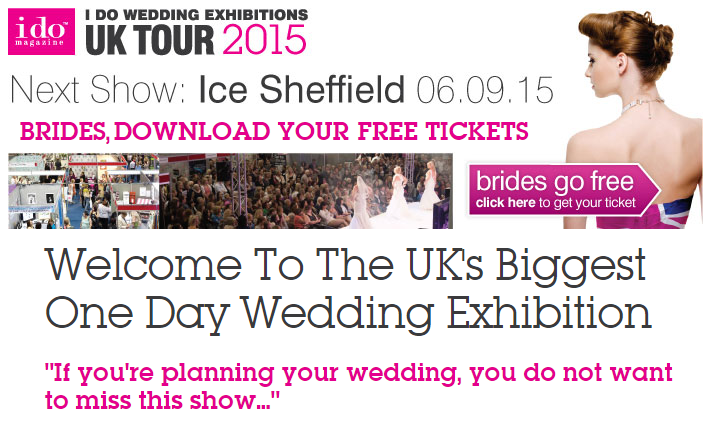 We are delighted to announce our attendance at the I Do Sheffield Wedding Show, at Ice Sheffield on Sunday the 6th September. Ringwood Hall Hotel and our professional, friendly wedding team will be available to speak to happy couples ‘to be’ at stand 121 & 122. To celebrate we are giving away 12 VIP exclusive tickets to the event for two people (normal entry £14.00). All you have to do for a chance to win this fabulous prize is consider your wedding at Ringwood Hall Hotel! 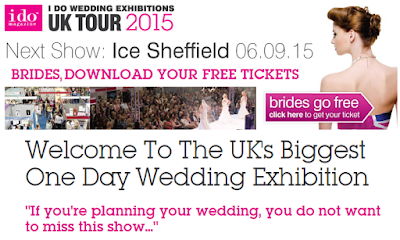 free ticket, the first 12 arranged appointments will be visiting the Sheffield Wedding Show with us!! So have a great day out and enjoy a perfect way to plan your wedding. The Tuesday 11th August will see our first mid-week Wedding Showcase at Ringwood Hall Hotel, where you can join us between 4-8pm and view our beautiful Georgian grade 11 listed Manor House set in 29 acres of private grounds. August is a wonderful time to view our stunning summer garden marquee (shown in the photos – taken last week at a Ruby Wedding celebration). If outdoor weddings aren’t what you’re looking for – you can also take a wander around the Main House, where you can see our exquisite licensed suites – available for civil ceremonies and wedding breakfasts! Don’t forget to take a peek at our fabulous bedrooms (especially our traditional, fresh 4 poster feature bedrooms, which are extremely popular with our wedding guests!). If you are looking for a South Yorkshire, Derbyshire or Peak District wedding venue – Ringwood Hall Hotel should be the first you come and see!! Refreshments available all afternoon in the marquee and in our house Markham Bar, plus meet our closest wedding supplies, who are always on hand to offer friendly advice & information to make your dream wedding come true!